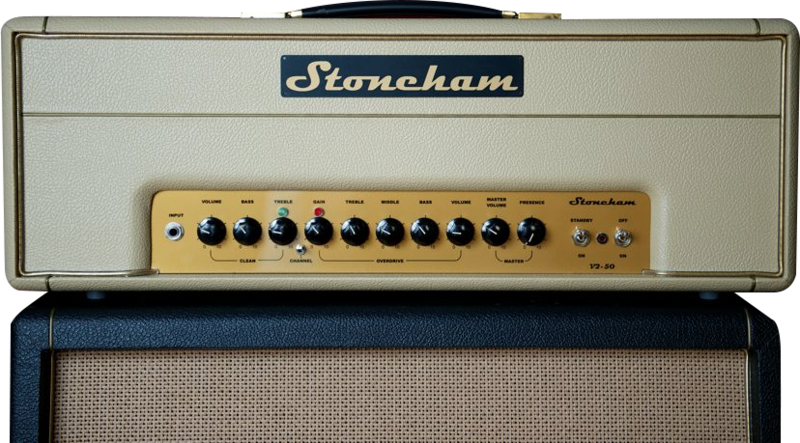 The Stoneham V2-50 represents the culmination of years of research, development and road-testing to produce the perfect gigging guitar amplifier. Play one and you can expect sublime tone, incredible versatility, seamless channel switching and world-class build quality. The Clean channel has independent gain, treble and bass controls and voiced for a 'tweed' tonality with plenty of chime and warmth. The Lead channel has a harmonically rich classic British overdrive characteristic but is far from being a clone of any vintage amp. The gain control, together with the independent tone network, can deliver a bluesy crunch right through to singing sustain without becoming fizzy or losing definition. 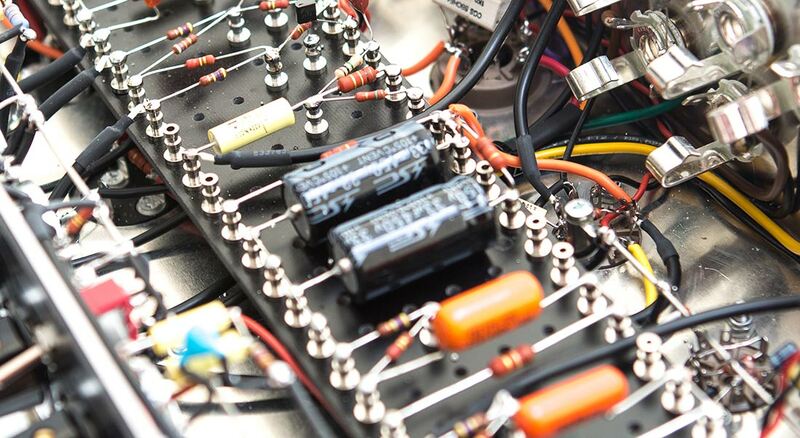 To complement both channels, an all valve serial effects loop is included which will work with any guitar effects pedal and most rack units (-10dB). 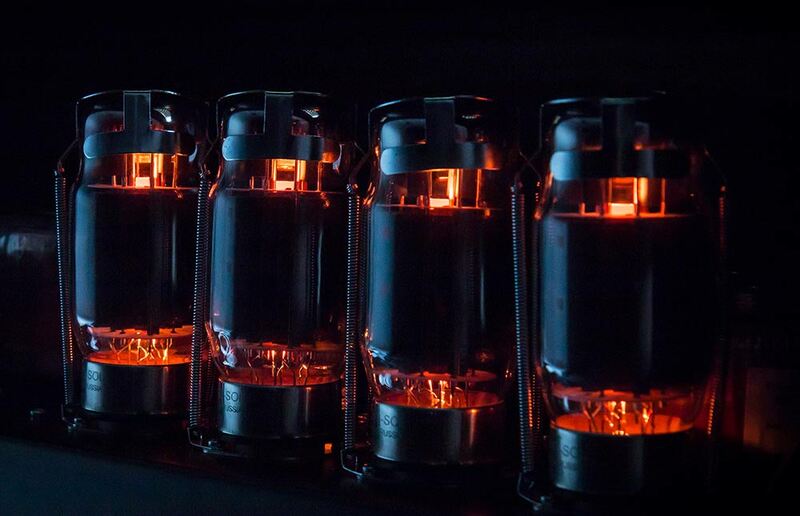 The power delivery comes from 2 x EL34s driven by an ECC83, and UK made oversized transformers that makes the amp sound bigger than it is.